Some years ago now, my No.1 Book Group read Charlotte Randall’s astonishing second novel ‘The Curative’ and still to this day, ten years on, when we reminisce about our favourite books (or indeed the books that we remember) - ‘The Curative’ always pops up as one of our best remembered, most interesting reads. We were riveted by the voice of the poor unfortunate prisoner of the mental asylum, hanging chained to a wall and talking to us, and taunting his keeper. And so, when I was given ‘Hokitika’ to review, I was ready and eager. The promotional blurb on the back cover says “In this beguiling new novel by the author of ‘The Curative’, a rattling good yarn reveals that life is rarely what it seems.” And a rattling good yarn it is, and more than that too. 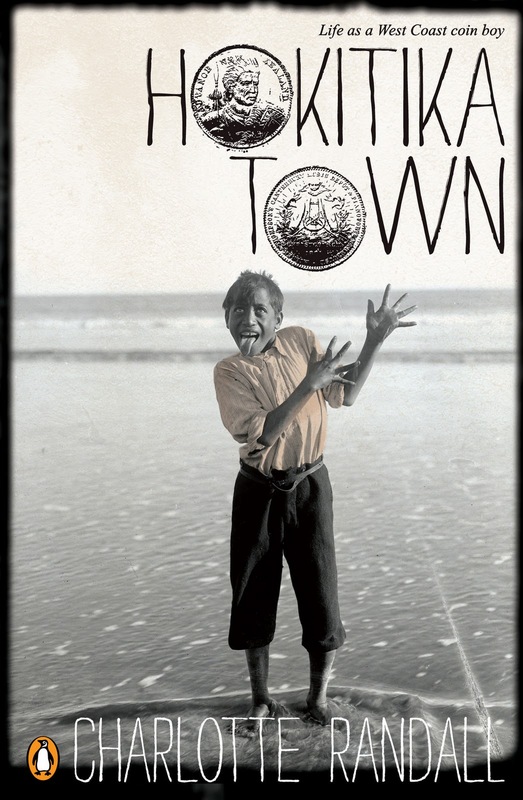 It takes a while to get into the rhythm of the speech of the protagonist, Halfie who is a young part Maori boy living rough in Hokitika in the height of the Gold Rush who speaks a kind of pidgin and literal English, picking up sayings and misrepresenting them. My favourite... I melon cow lick. 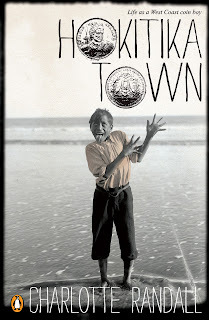 We get to see the town and its people through Halfie’s eyes in a wild and rollicking and at times very tender story. I think this is the classic picaresque, although I’m no academic critic, just an eager reader and writer, who reads both for the joy of the story and for the mystery of successful writing. Charlotte Randall seems to manage to be outstandingly original while telling a great yarn. This is no mean feat and at times when the yarn reached farcical proportions, I was still in there, heart and soul, not just an observer, not just a reader, but quite attached to the fate of the townsfolk of Hokitika; all of them, but of course, in particular Halfie. He is not so much the rascal or rogue of the typical picaresque; he is Harvey, Thumbsucker, bedwetter, Cocoa and Pipsqueak and you not only care about him, you also care about many of his less than likeable associates. Along the way, I felt immersed in the raw, wild and fatalistic reality of those Gold rush days. Randall conveys the harsh conditions of life on the Coast, the dampness, the demon drink and through Halfie we observe and laugh at the perplexing moralities and sometimes crass social pretensions of the times. Halfie is taken under the wing of Ludo (the town drunk who believes in God) and Kaspar Schmidt from Berlin (who thinks God is selfish) and Halfie has no idea who God is. Here’s a lovely piece about Plato quoted by Kaspar to Halfie. “Plato is saying that there is only one thing for which all coin should become exchanged, and that is wisdom”. To which Halfie who has just recently tasted his very first banana, thinks “Prolly Playtoe never et a binarna.” And this gives you a small introduction to Halfie’s way of thinking and speaking. Sadly for Charlotte Randall, it seems her book launch was postponed (or perhaps even cancelled) because of the latest Canterbury earthquake, and so I urge you to support New Zealand authors and in particular to treat yourself to a really good read, by one of our most imaginative and intelligent writers. It would make a wonderful rambunctious Kiwi movie, where instead of maudlin stereotypes, we would have reality and hilarity side by side, heart-warming, harsh, the whole shebang, all filmed in Hokitika, Greymouth and Okarito – imagine that! Maggie Rainey-Smith is a Wellington novelist/poet/bookseller and regular guest reviewer on Beattie's Book Blog. She is also Chair of the Wellington branch of the NZ Society of Authors. Tuesday Poem - a day late !! What Will J.K. Rowling Write Next?